This week is all about hosting. 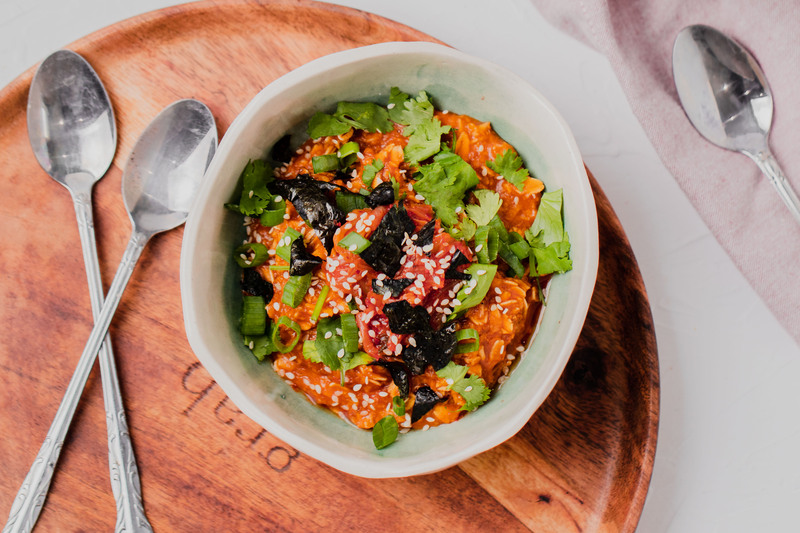 Hosting is stressful under normal circumstances, but what happens when you throw a vegan into the mix? What happens when most of your guests are vegan? This week on TMG Unfiltered we talk all things hosting – and share our experiences being the host and the vegan guest. Listen to this week’s podcast below. 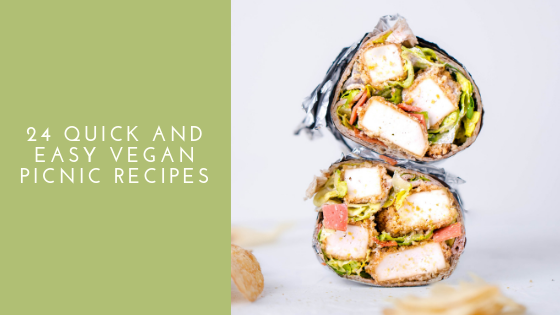 In this week’s podcast we talked about simple vegan party snacks that you could serve or bring to your next dinner party or get together. Whether your the vegan attending or needing to host a vegan, the food is the most important part. It also happens to be the hardest part. Many non-vegans are put off by obvious vegan food, so that challenge becomes what do you serve that’s vegan that non-vegans will also love? No one wants to make double to food simple because of different diets. I’ve had numerous friends text me to ask a list of questions when they are hosting a vegan guest. Is this vegan? Can vegans eat that? Are there store-bought vegan snacks? What can I easily make that’s vegan? The list goes on and on. We hope today’s post can help answer some of those questions. When hosting, we try and avoid sit down meals. Most people expect meat on their plate during a sit down meal, which can be difficult with vegan guests. That’s why we love to serve appetizers or just lots of different vegan party snacks – this is especially perfect for game nights. Snacks are awesome. Everyone loves snacks, and no one thinks it’s weird when meat isn’t there. 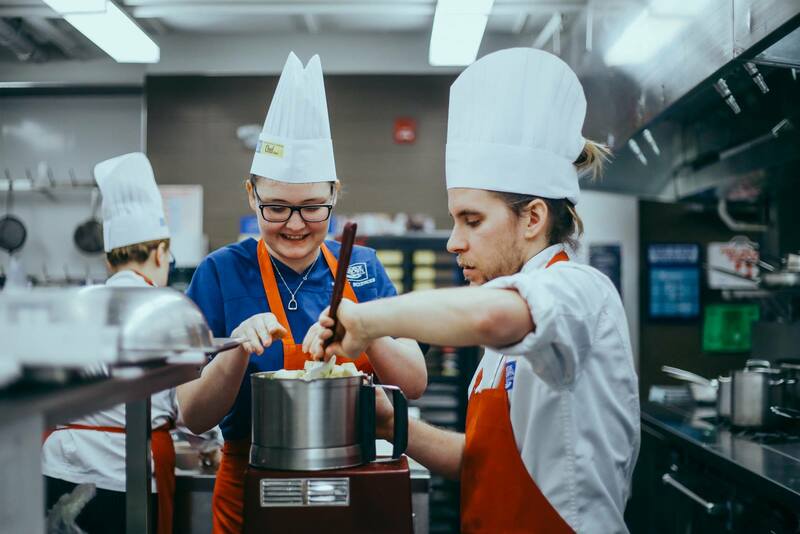 There’s little better than spending time with friends enjoying delicious snacks that are so good you’ll wish you had made an entire batch for yourself. Party snacks need to be able to be made in big batches, and should typically be finger-foods. We’ve put together a list of our go-to snacks when game night rolls around. Bonus points they are all 100% vegan and 100% delicious. 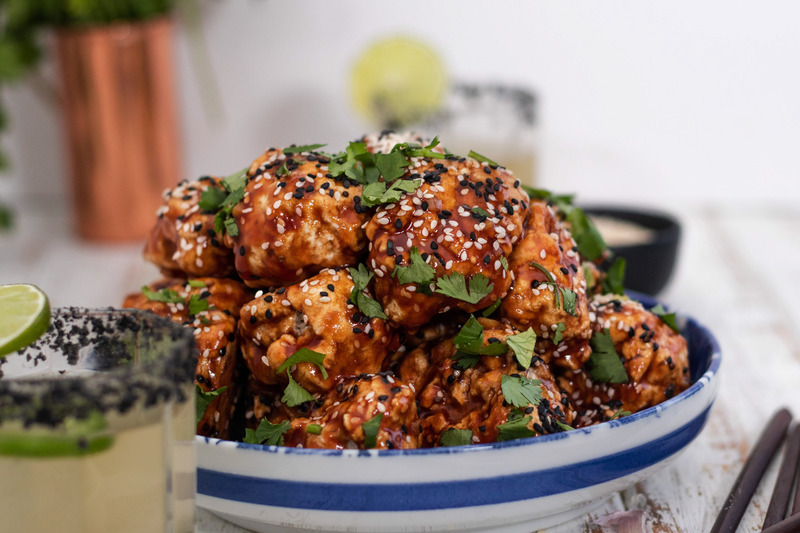 We typically go to homemade vegan party snacks, but understand that time is precious. That’s why not only will you find our favourite homemade snacks on this list, but you’ll also find some of our favourite store-bought snacks. Sweet & Savoury Popcorn Trail Mix – A twist on the classic trail mix. Popcorn makes it party food right? 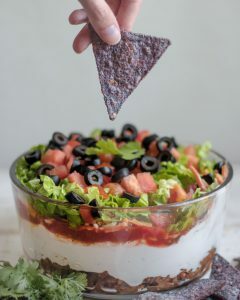 7 Layer Dip – Is there more of a party food than dips? Plus everyone loves a taco dip. 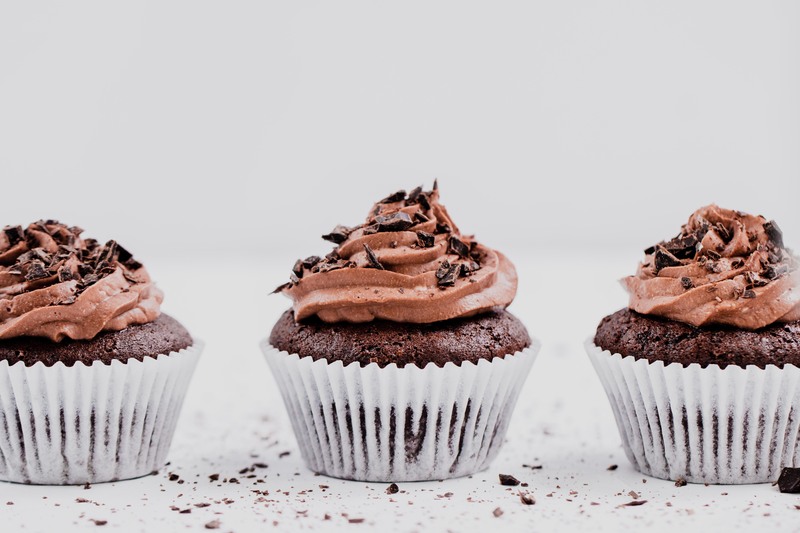 Chocolate Seed Energy Bites – For the health nut in you. Vegan Queso Cheese – It’s made from potatoes and carrots, but you’d never know. 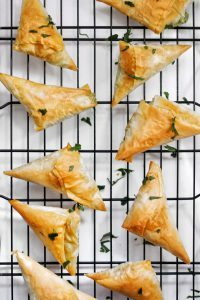 Spanakopita – Like those frozen ones you used to get, but way better. Pizza Dip – Everyone loves pizza, everyone loves dip. The sum is greater than the parts, we promise. Mushroom Calamari – Classic bar snack made from our personal favourite: mushrooms! Sesame Mushroom Crostini – Minimal ingredients, maximum flavour. Taco Pockets – Portable tacos, everyone loves portable tacos. Sundried Tomato Pesto Crostini – Simple, elegant, and delicious. 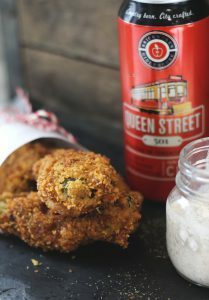 Deep Fried Pickles – Need we say more? BBQ Pulled Jackfruit Crostini – Fruit and BBQ equals pork? Weird, but it works. Vegan Timbits – We had to mention this because well, we’re Canadian. Roasted Chickpeas – Classic vegan snack, but still amazing. Coconut Clusters – Sweet and crunchy – the perfect balance to all the savoury. 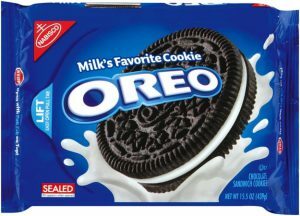 Oreo Cookies – Ask a vegan what they can eat and they’ll always say Oreos. Sweet Chili Heat Doritos – This is the second thing vegans will say. Ruffles Potato Chips – Can’t have dip without a dipping vessel. Pillsbury Crescents – Perfect for little *vegan* pigs in a blanket. 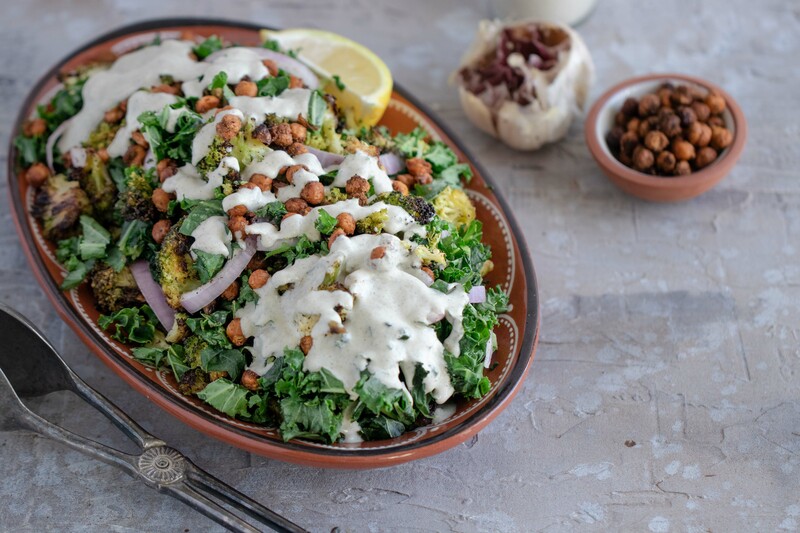 PC Blue Menu Falafel – Because sometimes you want something quick and easy to throw in the oven. PC Vegetable Spring Rolls – H’ordeurves anyone?